Another week another international exposure for Afro fusion artist Burna Boy. The Spaceship Entertainment artist continues his fine run on the international music scene. Only a few days ago the self-proclaimed Don Gorgon made it to Spotify’s New Afro Hub Takeover Artistes. In another bit of news the ‘Ye’ crooner has been featured in YouTube Artist On The Rise catalogue. The Artist on the Rise Trending tab will continue to feature three songs from emerging artists every week, and the new monthly offering will provide an in-depth look at one of those artists. 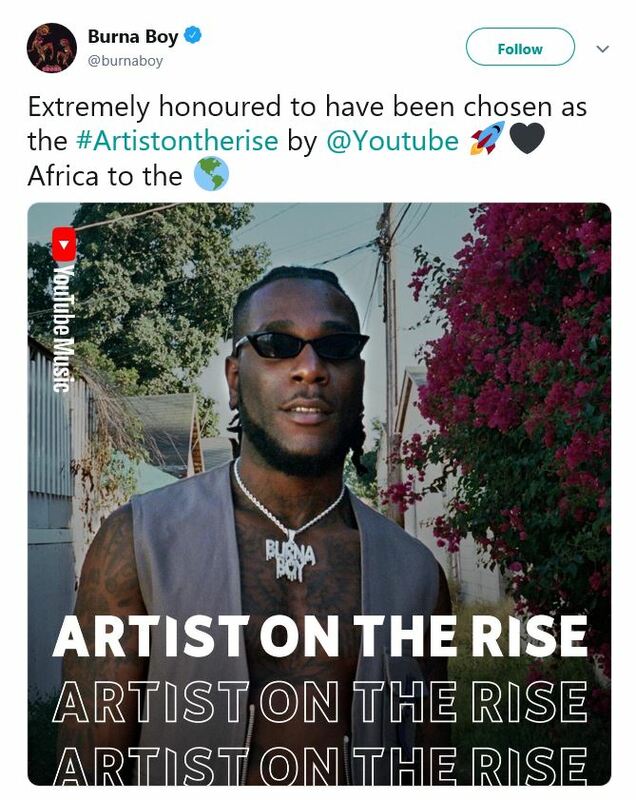 Burna Boy shared a tweet to confirm the development.